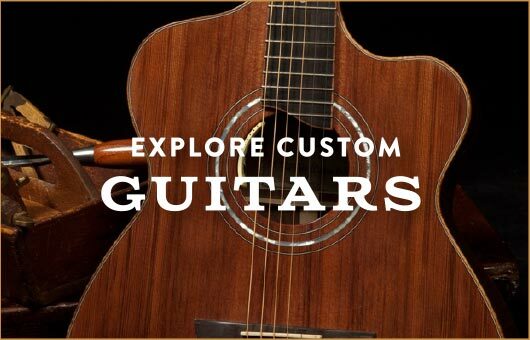 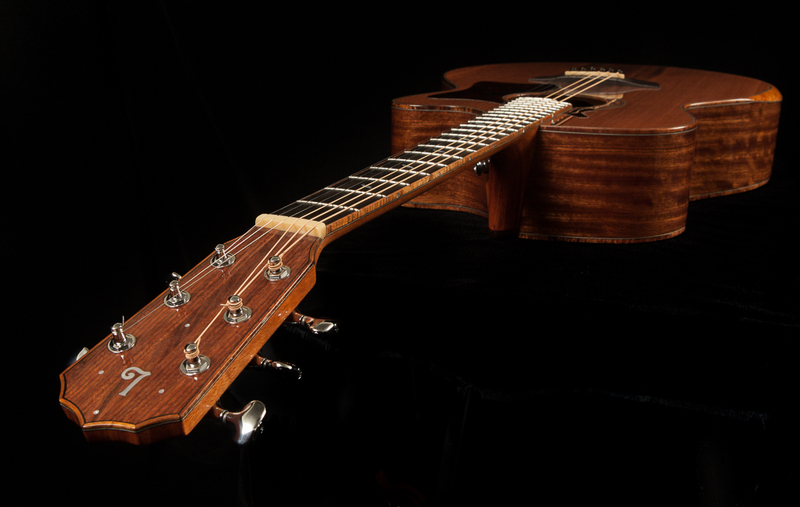 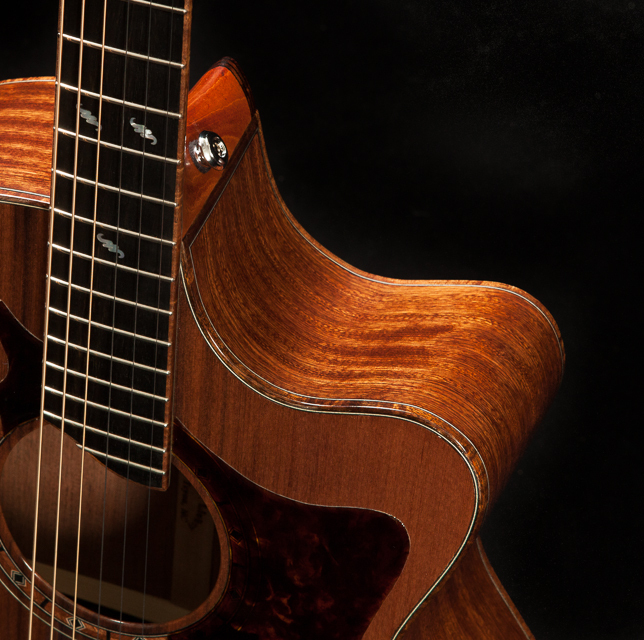 This guitar was designed to have it all. 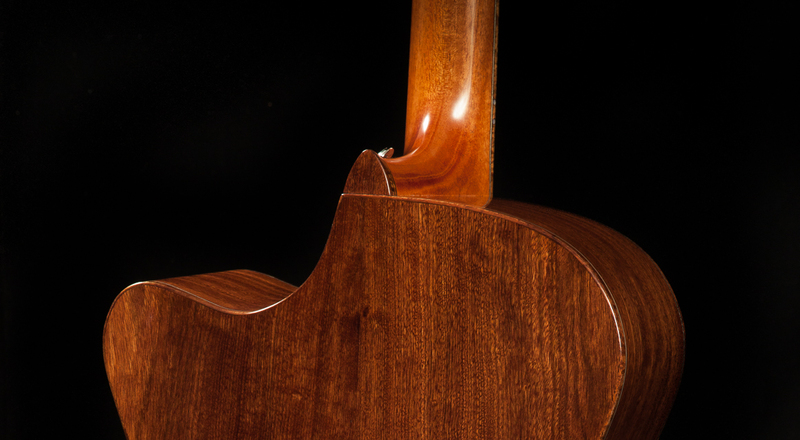 With amazing playability as a result of the beveled armrest, ergonomic wedge-shaped body and custom sized neck and resonant tone that blends the distinction of each note and the harmony of full chords … it really is a dream guitar. 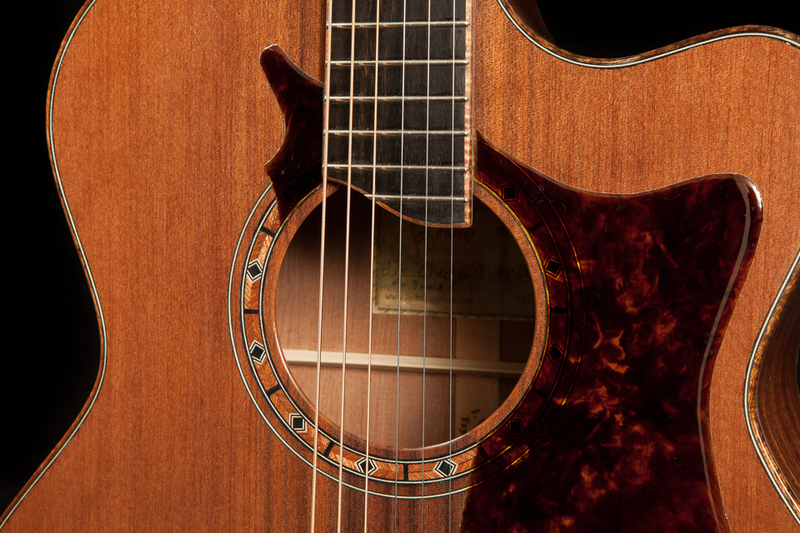 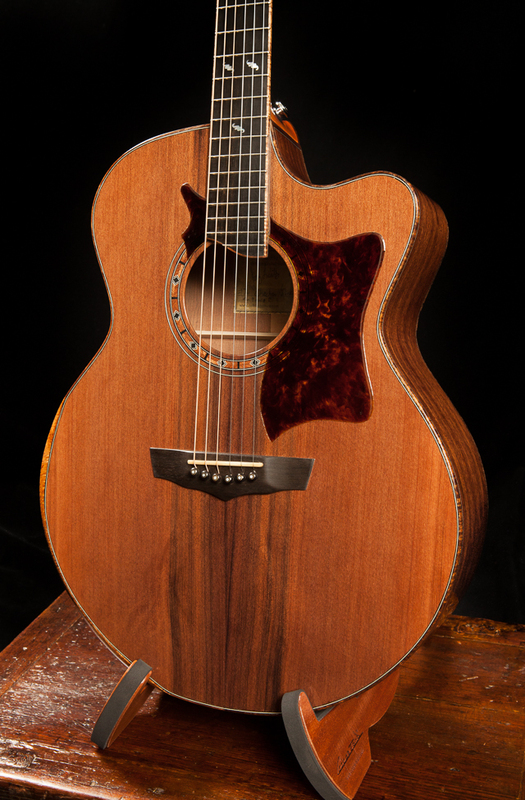 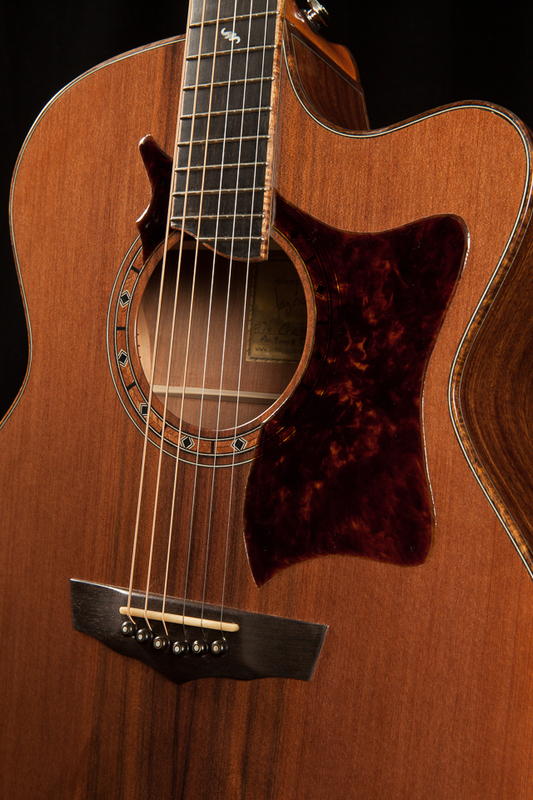 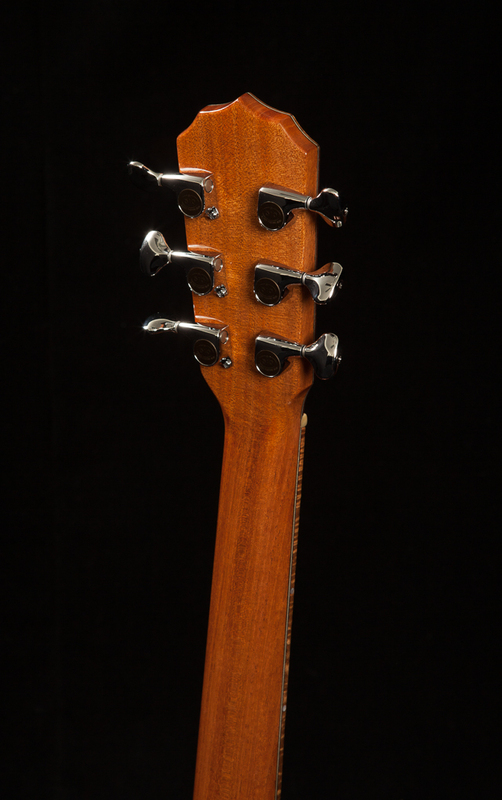 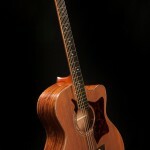 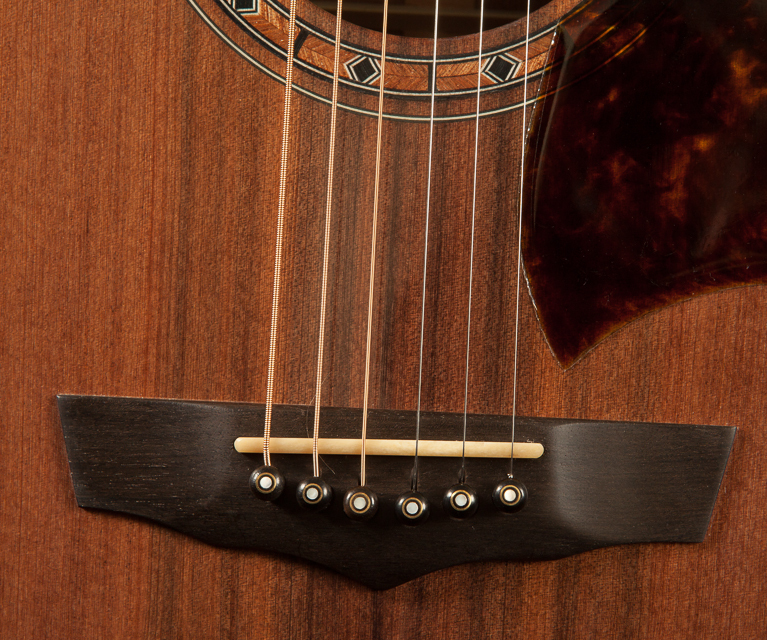 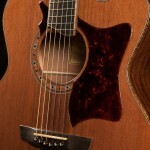 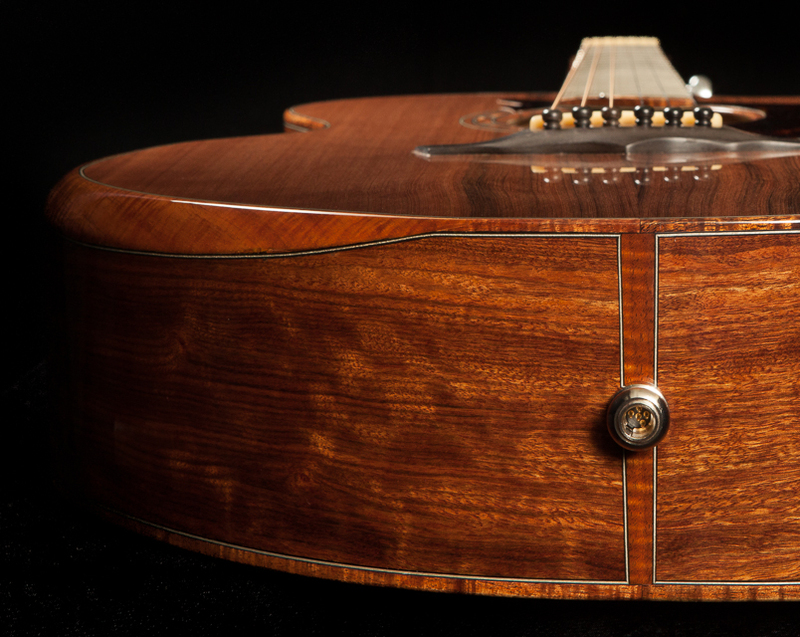 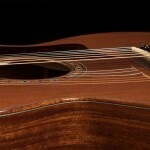 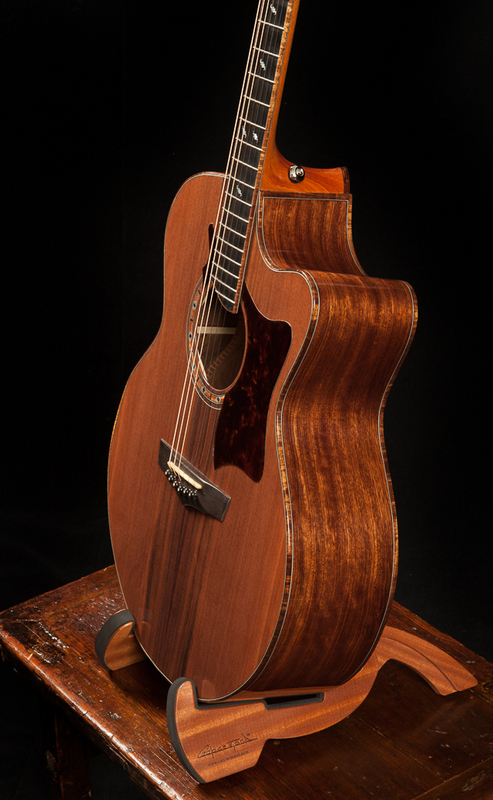 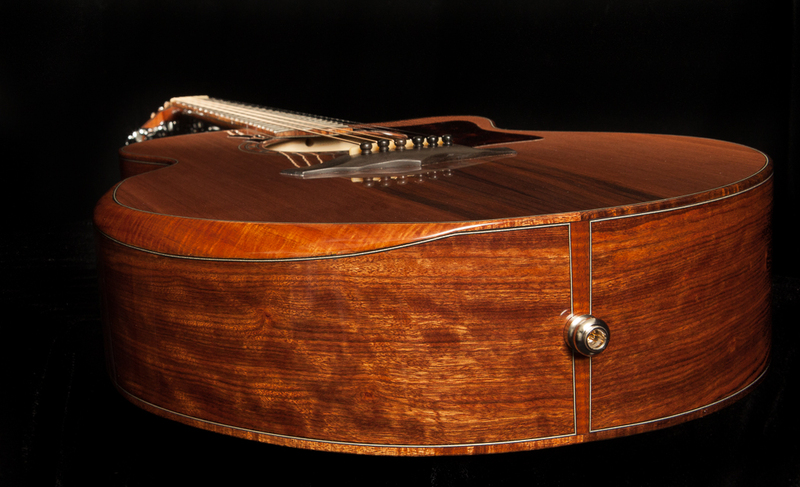 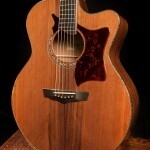 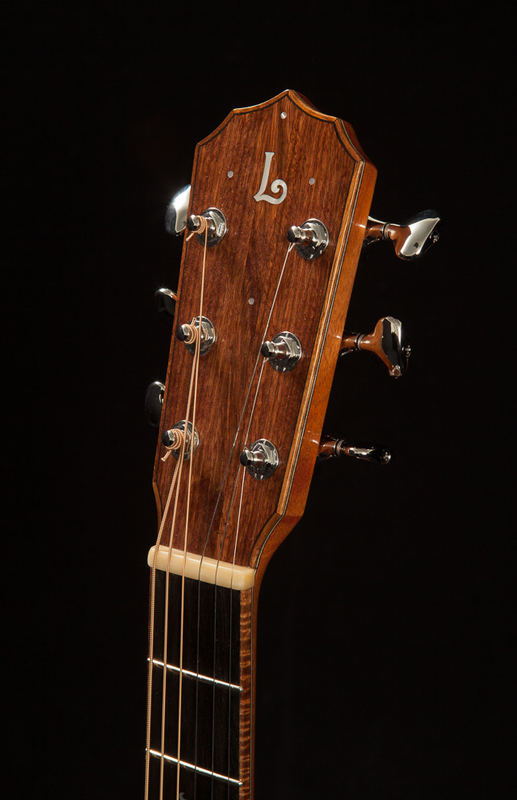 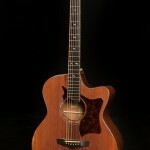 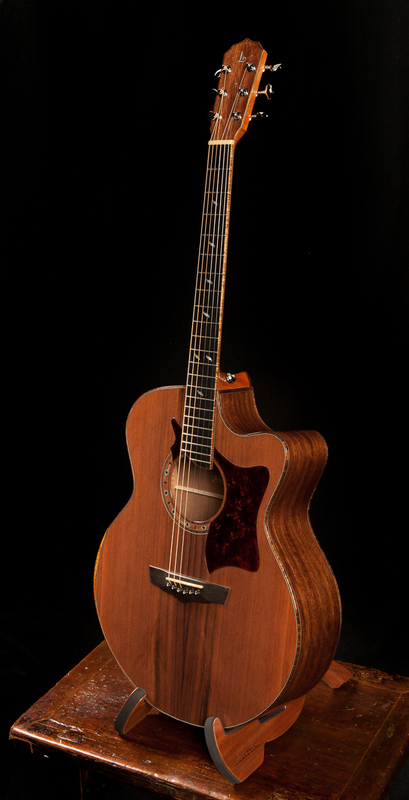 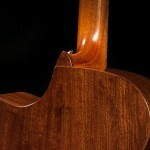 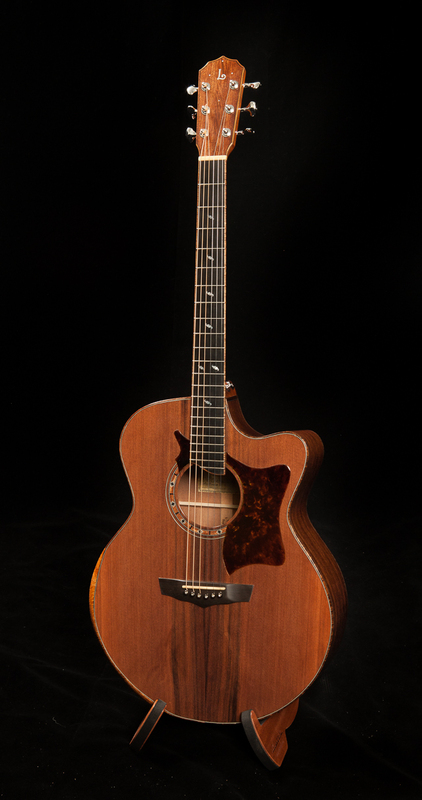 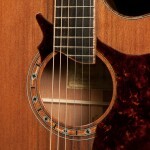 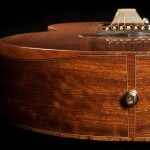 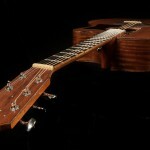 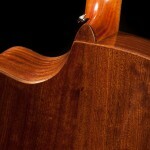 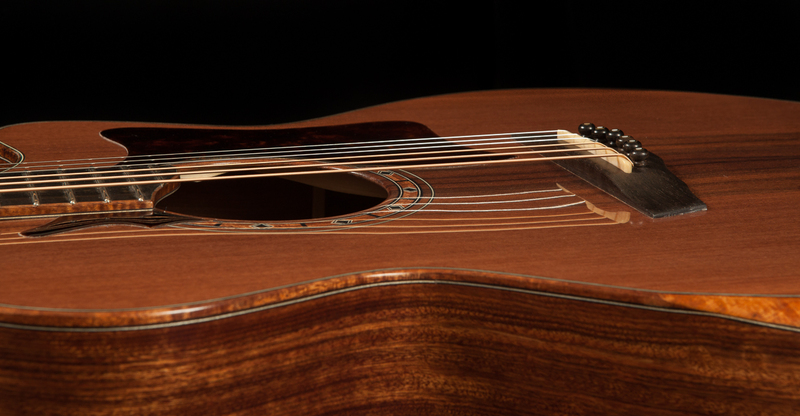 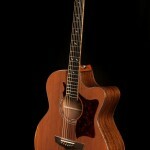 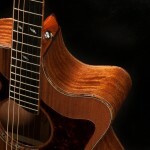 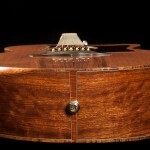 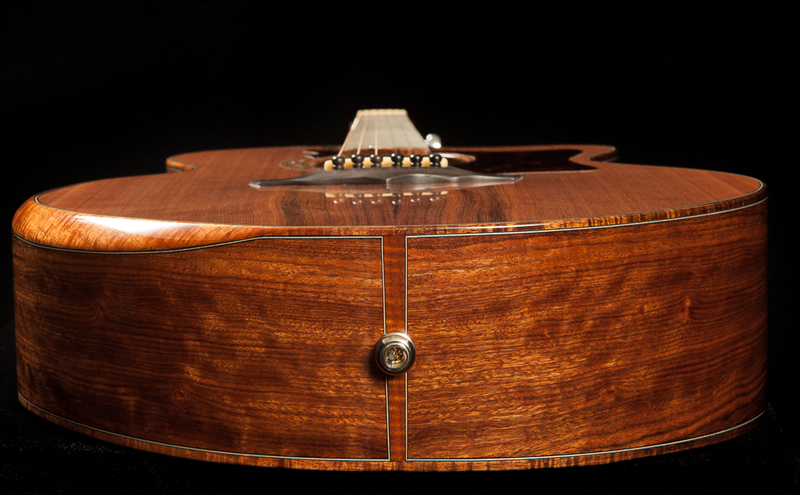 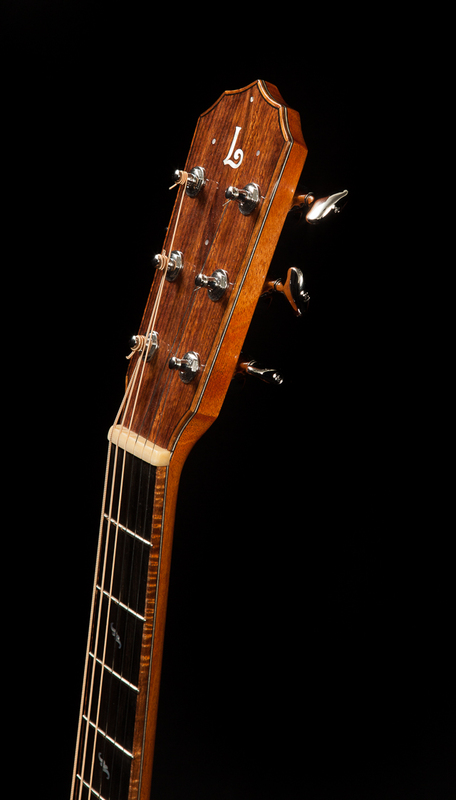 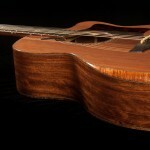 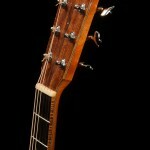 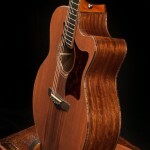 Commanding the sound is a beautiful sinker redwood top. 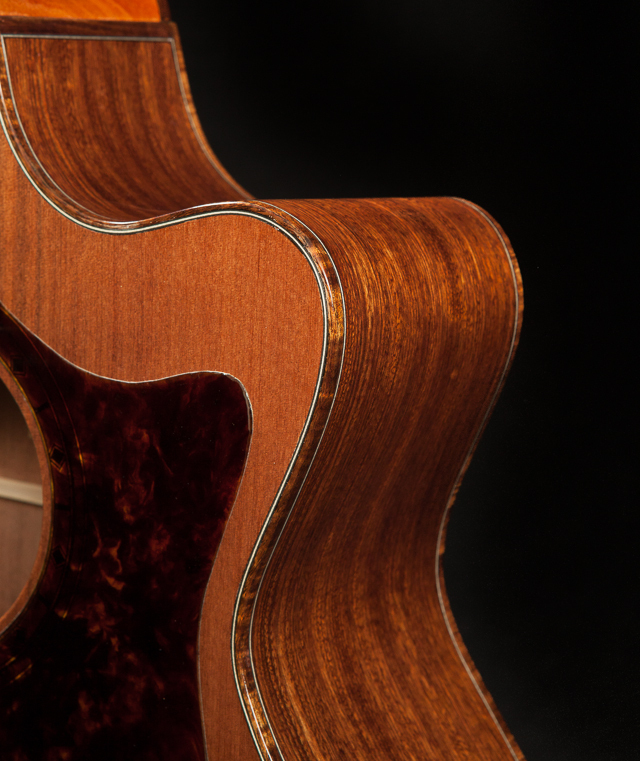 This set had a brilliant tap-tone right off the shelf and visually it tells a story all its own – beautiful ochre tones with a sweep of movement in the grain at the lower bout. 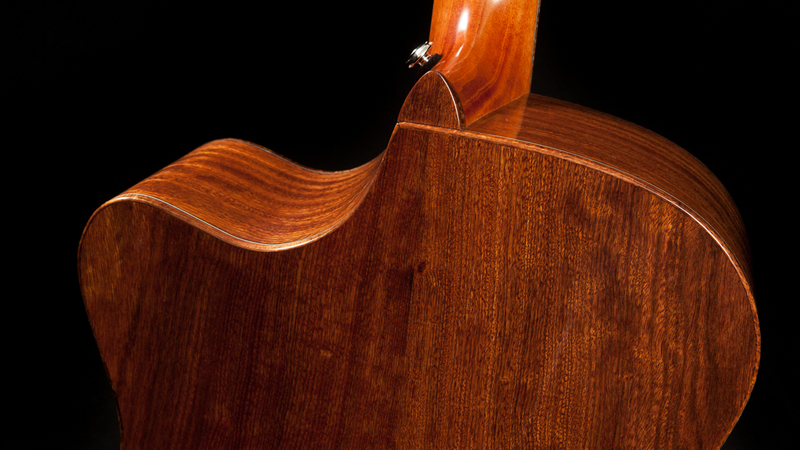 The body and sides are crafted of Chechen. 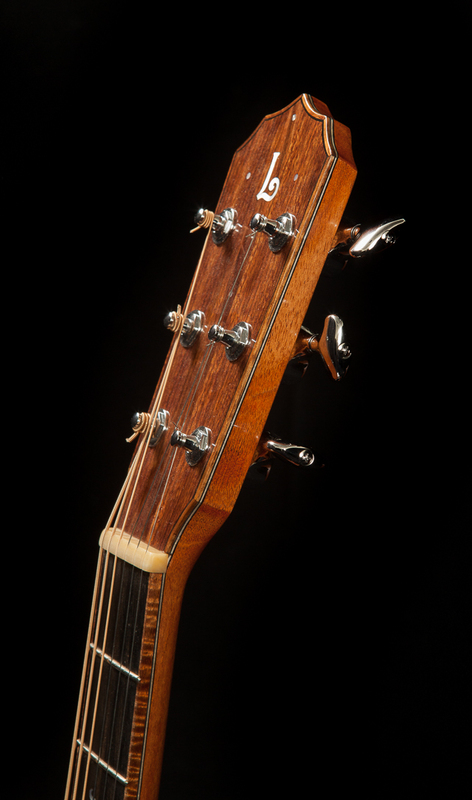 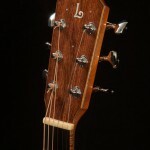 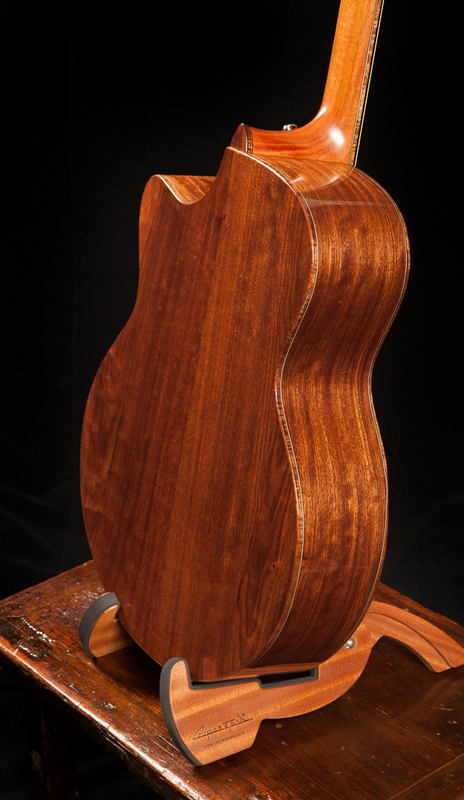 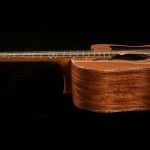 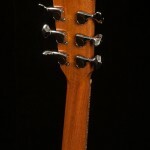 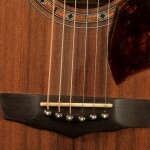 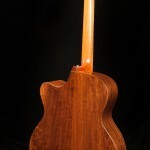 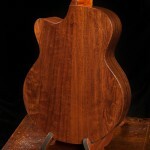 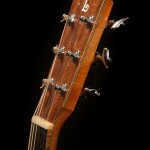 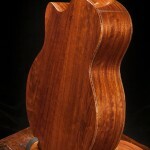 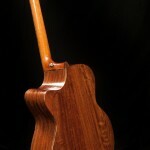 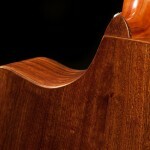 While not a true rosewood, it is often referred to as Caribbean rosewood given its tonal qualities. 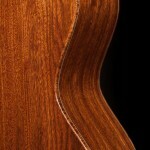 We are excited about Chechen. 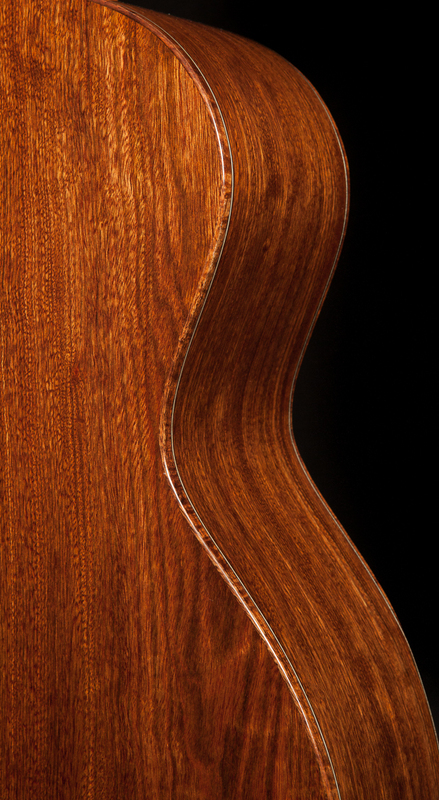 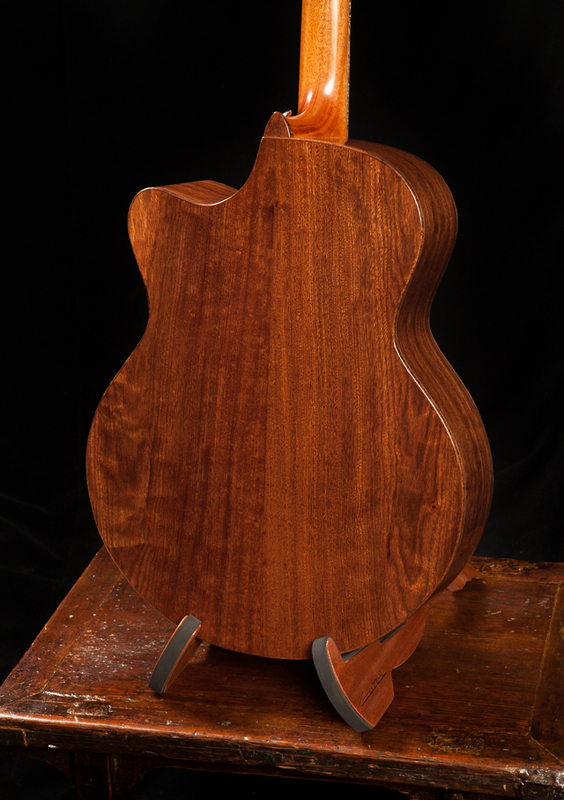 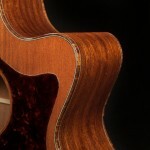 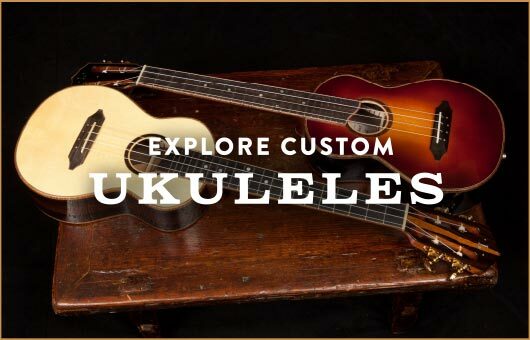 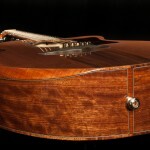 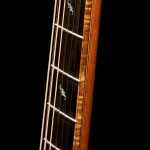 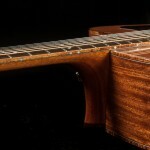 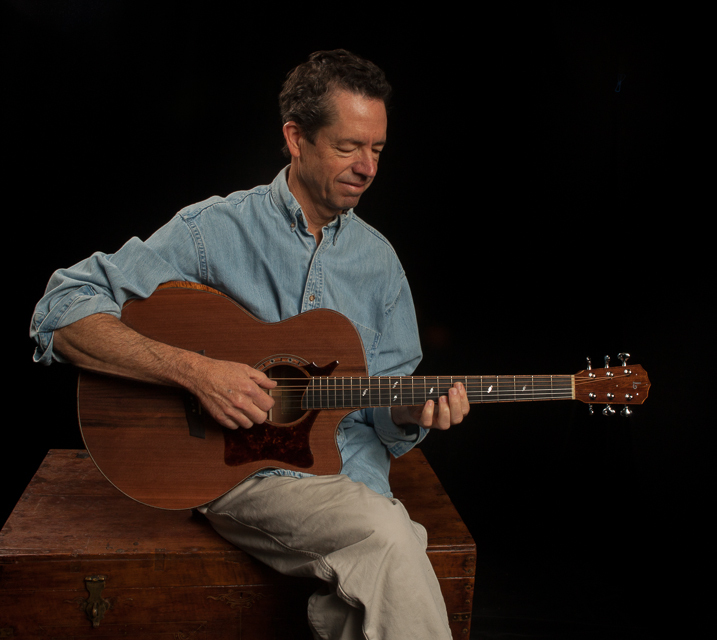 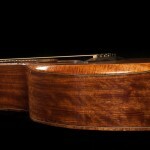 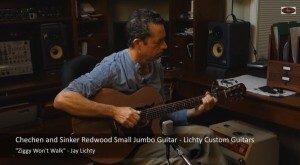 Every ukulele and guitar Jay has built from this wood has been spectacular and, much to its credit, Chechen offers a sustainable alternative to rosewoods. 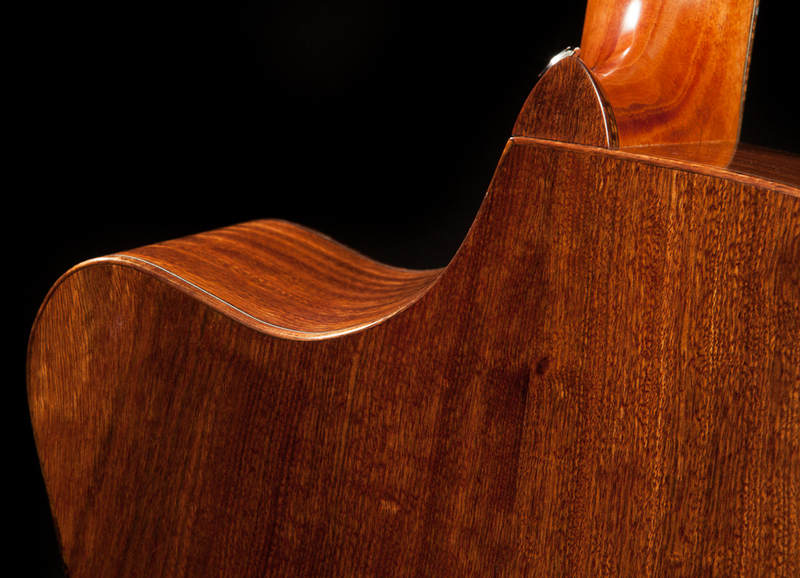 You can read more about this wood and hear audio samples of some of the Lichty’s crafted from it at our post Unique Tonewoods – Chechen.